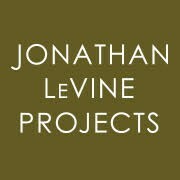 Jonathan LeVine Projects’ first annual art competition is open to artists from around the world, ages 18 and older of all backgrounds and experience. Jurying will be on-going through the submission period. After the submission deadline, a selection of artworks will be chosen to be exhibited in Delusional, a group show highlighting the finalists opening on August 9, 2017. All submitted artworks must be for sale (priced at a reasonable market rate) and available to be exhibited from August 9 – 29, 2017. Upon the sale of an artwork, Jonathan LeVine Projects will earn a commission of fifty percent (50%) of the net proceeds from the sale.